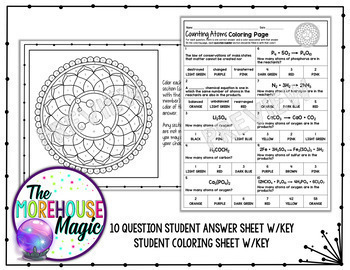 Chemistry Science Color By Numbers or Quizzes - GROWING BUNDLE! 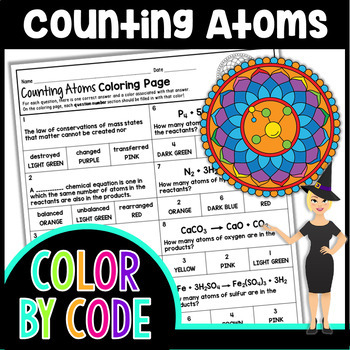 This Counting Atoms Color by Number consists of 10 questions in which students will define the law of conservation of mass and count the number of atoms in a given chemical formula or equation. The questions do include formulas with coefficients and polyatomic ions. This resource will aid students in moving towards mastery of NGSS MS-PS1-5. • Use the answer sheet as a quiz!